“If you can’t measure it, you can’t manage it,” so the saying goes. In other words: knowledge is power. The reason data is important to facility cleaning managers is because it allows them to measurably improve processes and increase efficiencies. In that way, the goals of many of the innovations that fall under the Internet of Things umbrella are no different than most other innovations in today’s commercial cleaning industry. Budgets are being squeezed, the threat of outsourcing is real and facility cleaning managers must do more with less. At the same time, there’s renewed focus on areas like hand hygiene compliance. The Internet of Things can help with all of the above. The previous way to measure efficiencies was traditionally direct observation. But IoT technology now provides cleaning managers with objective, irrefutable data. 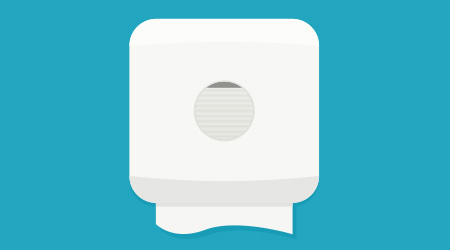 As an example, some IoT-enabled restroom dispensers can track fill levels, allowing cleaning managers to know whether a restroom needs more soap without actually having to walk across the facility to look, which will save janitors time and allow for increased cleaning in other areas. Other IoT-enabled dispensing systems feature infrared sensors that can actually track occupant traffic in and out of a restroom. Combine that information with the usage data from the dispenser itself and a cleaning manager can gauge hand hygiene compliance down to a specific restroom. Connectivity has spread beyond restrooms, however; manufacturers have added the technology to their floor machines and autoscrubbers. This allows facility cleaning managers to know, in real time, when a floor machine needs new parts, battery levels, how often the machine has crashed in a given timeframe, usage patterns and more. Some machines even boast geolocation technology, which can help cleaning managers cut down on theft of machines or simply help them find a machine that has been misplaced.